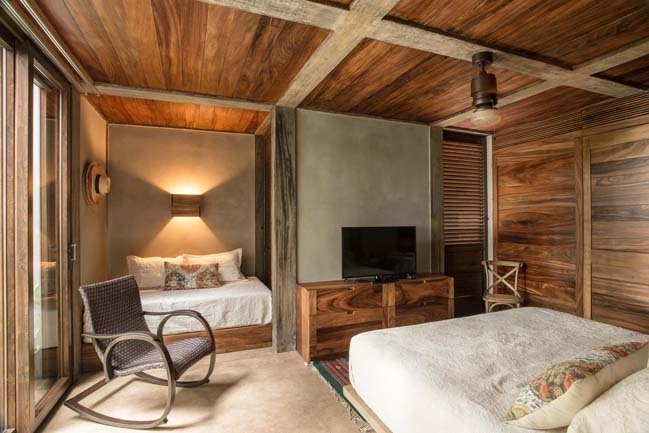 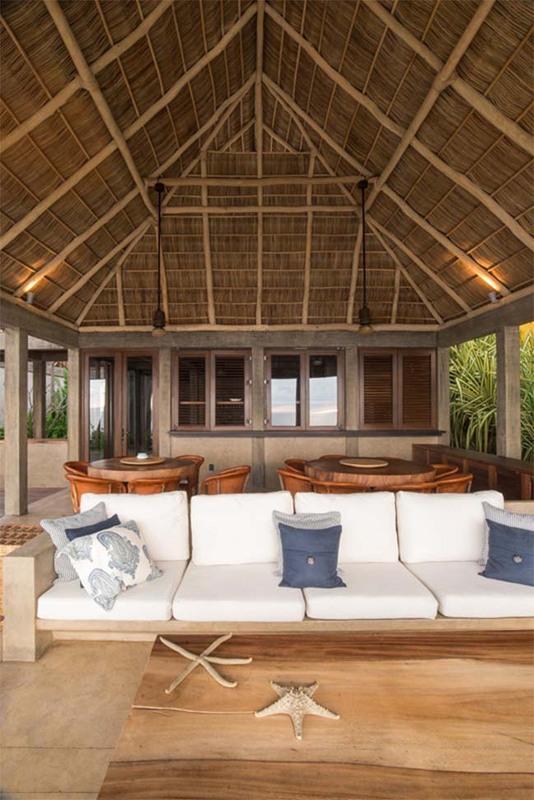 Chacala House is a beautiful beachfront villa in Mexico which includes the social areas and master bedroom on the ground floor overlooking the sea, four bedrooms to accommodate a family in each, and service areas. 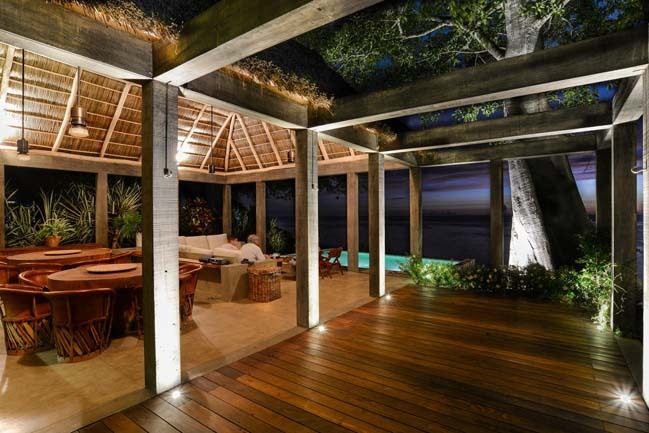 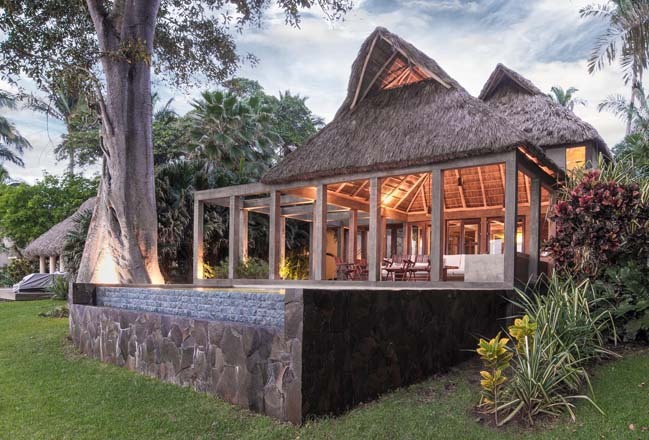 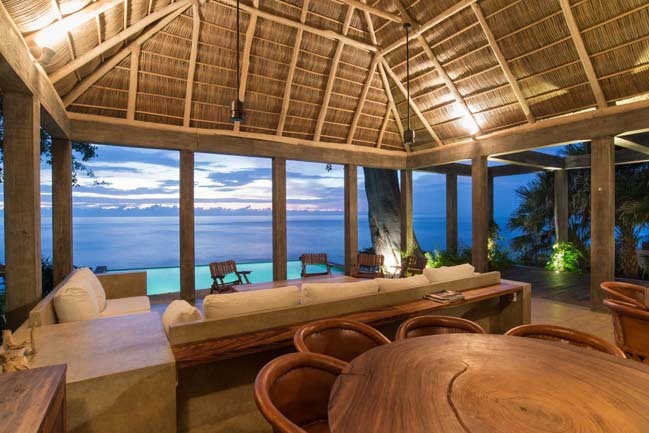 From architects: A huge fig tree, a palm tree and visual openings to the sea were the conditioning for the house. 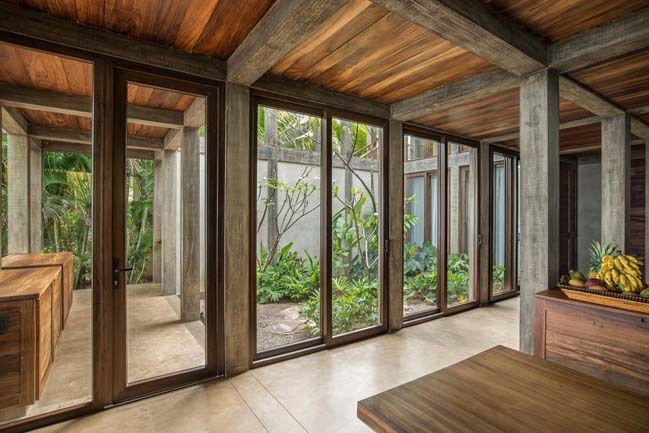 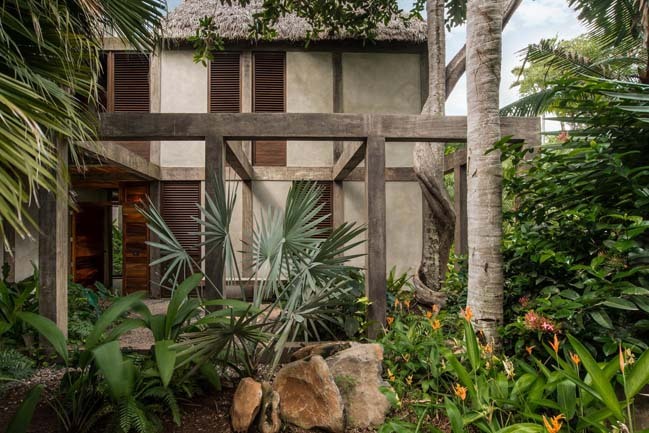 The palm serves to confine a courtyard entrance where vegetation dialogues with the apparent structure, they welcome and announce what will be the theme of the whole house: a grid of columns and beams like an skeleton that modulate, order, delimit and qualify the different spaces. 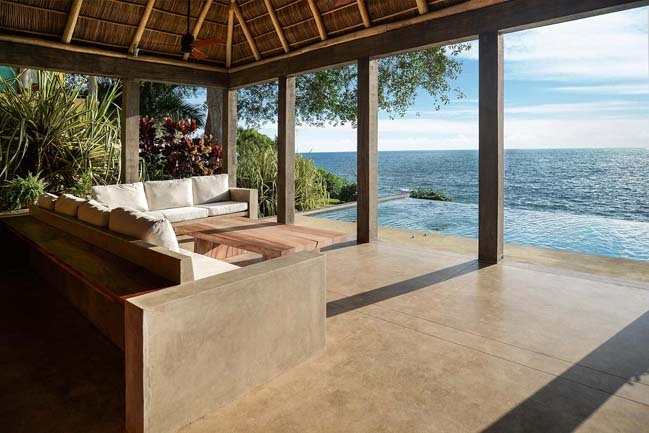 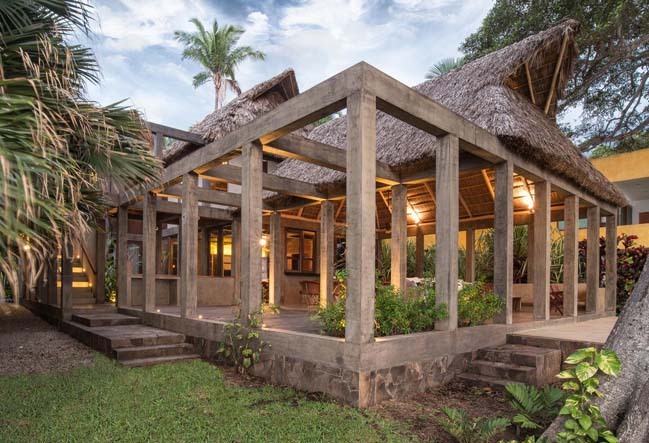 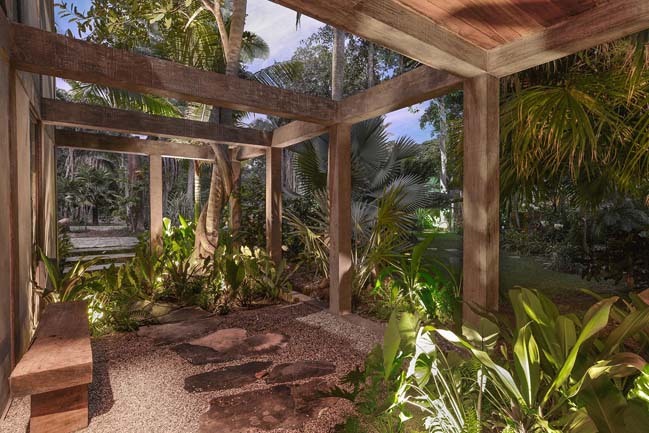 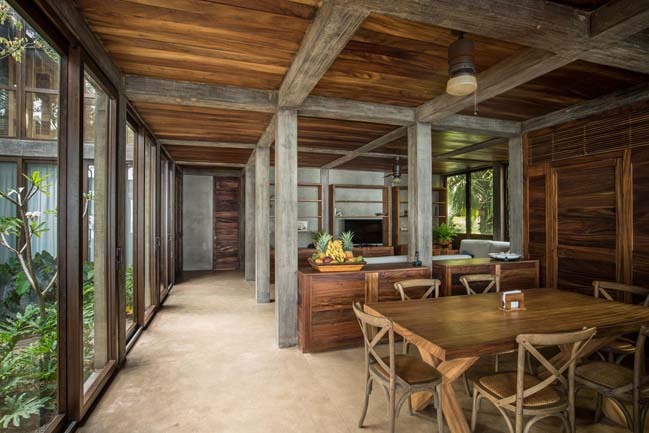 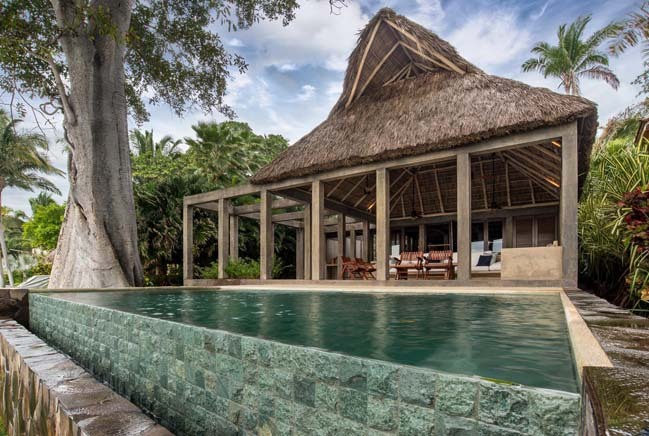 The house can live as closed or open as you want, allowing you to enjoy the sea breeze and vegetation that seeks to introduce the jungle immediate context by a rich variety of species. 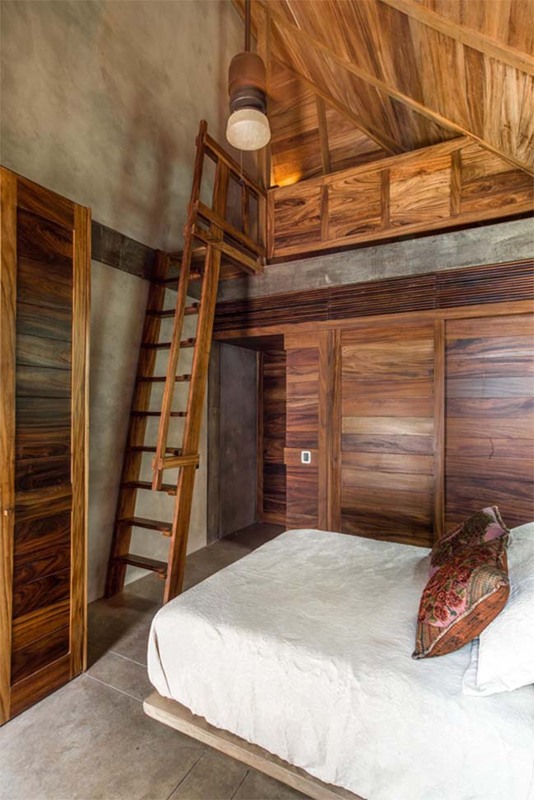 The apparent materials, palapas and wood, aimed at producing a "natural and relaxed" atmosphere.